A Lamlash couple, during one of their favourite walks on Cleats Shore on 15 October 2015, came across the body of a dead seabird. 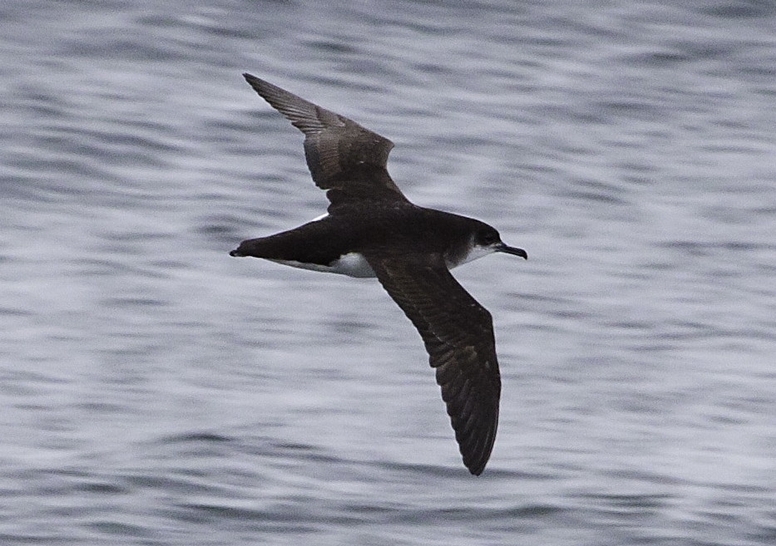 It was a Manx Shearwater. On closer examination the bird had a ring on its leg. The details were noted and forwarded to the British Trust for Ornithology (BTO). Recently they received information back from the BTO on the bird. This bird had been ringed by Copeland Bird Observatory, County Down, Northern Ireland. as a nestling on 18 Septeber1980. They were astonished that it had been found more than 35 years after it had been ringed. Although it was found only 86 km from the ringing site, Manx Shearwaters are ocean travellers, breeding on off shore island in the UK and wintering off the coast of South America. Circling the Atlantic each year how many tens of thousands of kilometres had this bird flown in its lifetime? Bird Ringing in Britain and Ireland is organised by the British Trust for Ornithology (BTO). Each year over 900,000 birds are ringed by over 2,500 highly trained bird ringers, most of whom are volunteers. They follow a careful training process that can take several years to complete to ensure that they have the necessary skills to catch and ring birds. The bird’s welfare is always the most important consideration during ringing activities. Ringing began over 100 years ago to study the movements of birds. While it continues to generate information about movements, it also allows the BTO to study how many young birds leave the nest and survive to breed as adults, as well as how many adults live from year to year and how many birds disperse to different breeding sites. Collection of this information helps the BTO to understand why bird populations increase or decrease ? vital information for conservation. Details of how many birds have been caught and where and when they have been found are available on the BTO website at www.bto.org/ringing-report. If you do come across any dead birds this winter, please check them for rings and pass the information to the BTO. If you would like to find out more about the BTO please check out their website www.bto.org.